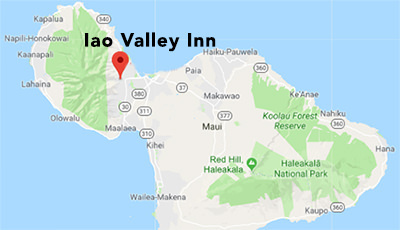 Relax and preview some of Maui’s beauty before you arrive. 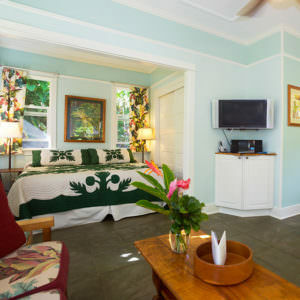 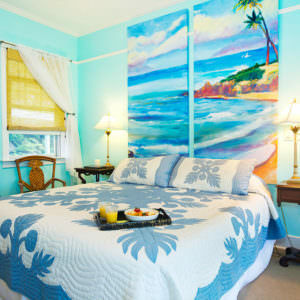 The detached one bedroom private Cottage includes direct views of Iao Stream from your bedroom window, private full kitchen, covered lanai, king size bed and bathroom with shower. 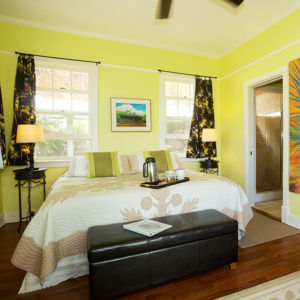 Also, the octagonal gazebo offers a double bed with windows looking down to Iao Stream.